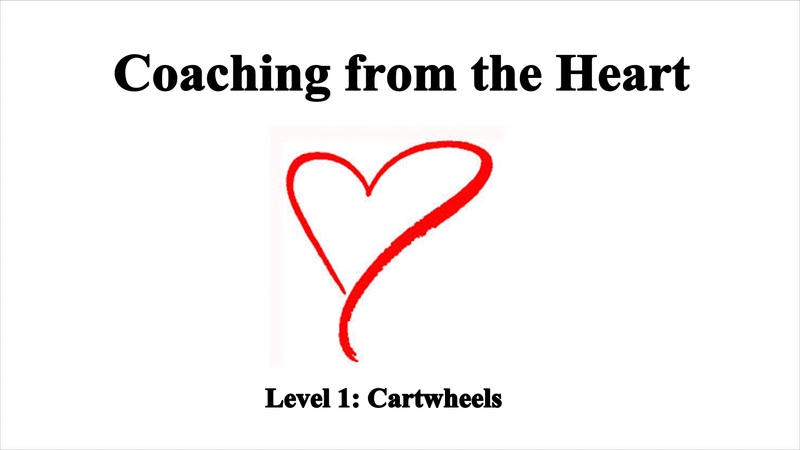 Coaching from the Heart is a series designed to help cheer coaches with innovative ideas to implement in their gyms and gain valuable knowledge to improve their current coaching skill set. Each week a skill from Levels 1-5 will be featured, along with teaching tips and ideas to bring into the classroom to instruct effectively and efficiently. As a coach and a parent both, one of my biggest pet peeves is seeing idle time, such as standing around waiting in line. This time can be utilized best by using continuous rotation through various drills set up in a station/circuit format. Stations should always be set up in a manner where there is a direct flow from one to the next. The ‘coach station’, where an athlete is being spotted hands on, should be placed in an area of the circuit where all stations are visible by the coach at all times. Each article in this series will have 8-10 ideas for stations and they can be adjusted depending on class size and student to coach ratio. As typically there will be 1 coach for many students, only 1 station will require a spotter’s assistance. Fun Tips: For younger cheerleaders, place a stamp on the hand that goes down first and a sticker on the shoe of their front lunge foot. 1. Straddle roll down a wedge mat. Cheerleader will start seated in a straddle at the top of a wedge mat. They will push up into the straddle roll and roll down the wedge mat, with straight legs and pointed toes, finishing in a standing straddle position. This skill reinforces the straddle position used in the cartwheel, as well as emphasizes good form and builds strength. 2. Handstand against the wall in a straddle split position. This can be done 3 ways. Cheerleaders can walk their feet up the wall, walk hands in, and drop legs into a straddle position and hold for 10 secs and tuck and roll down. The second way- they can face the wall in a lunge, lever into handstand against the wall, drop legs to straddle and hold 10 secs. Bring legs back together in handstand and come down one foot at a time finishing in a lunge. The third way- they can start in a lunge standing alongside the wall sideways, kick up ¼ turn to handstand against the wall, drop to straddle, hold 10 secs, then ¼ turn cartwheel out. 3. Cartwheel through a tunnel. Create a tunnel with either 2 panel mats, 2 trapezoid blocks, pool noodles, or other training aid. Cheerleader should stand facing the tunnel and cartwheel through without touching the mats and finish the skill on the opposite side. 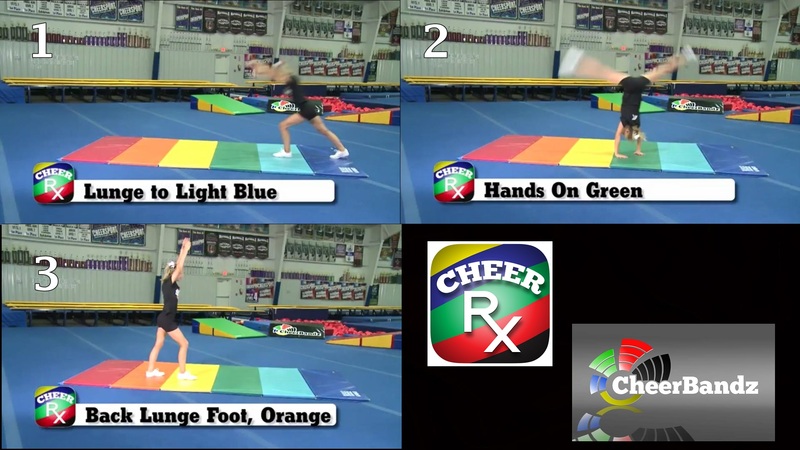 This drill is from the CheerRX app by CheerBandz. For a video of this drill please download the app, select Level 1, Cartwheels, and Drill #7. 4. Coach’s station- Cartwheel (spotted if needed). Stand on the cheerleader’s good side. Place your nearer hand on the cheerleader’s front/side waist while the other hand will be raised & ready. As the cheerleader reaches forward, the poised hand will grasp the other side of the waist & assist on “turning” the cartwheel. 5. Flexibility- Straddle splits and Pancake. This station can be varied depending on the cheerleader’s ability level. For straddle splits, you may choose to work these on the floor or against the wall (gravity splits). If the cheerleader has mastered their splits, work over-splits with a raised surface such as a panel mat or block. Pancake- cheerleader should sit in a wide straddle and reach forward laying chest on the floor holding for 10-15 secs, return to a sitting position and repeat. 6. Cartwheel over a panel mat, or other similarly raised surface (trapezoid, block mat, etc). Cheerleader will start in a lunge on 1 side of a panel mat, lever forward placing hands on the mat sideways and kick over the mat landing 1 foot at a time in a lunge on the other side. 7. Strength- Liberty Lunge Walks. Cheerleader will start arms up in a tight touchdown position OR fists on hips (arms will remain in the chosen position the entire exercise), step forward with the right foot in a deep double lunge, then come up bringing the left foot alongside the knee in a liberty position, then step forward with the left foot into a double lunge position, then come up bringing the right foot alongside the knee into a liberty position. Repeat x3 times each leg. This exercise builds leg strength, ankle stability, balance, and motor skills. 8. Cartwheel on a rainbow mat (if you do not have a rainbow mat, you may use chalk or stickers for landmarks). Depending on the height of the cheerleader, their landmark colors may vary. Example: Stand on dark blue, front foot lunges to light blue, hands on green, front lunge foot lands on yellow. This drill is from the CheerRX app by CheerBandz. 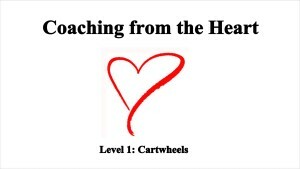 For a video of this drill please download the app, select Level 1, Cartwheels, and Drill #4. 9. Hula Hoop Cartwheels. Put 3 hoops in a row. Cheerleader should lunge in the first, hands in the second, and land in the third. 10. Challenge station- 1 handed cartwheels or cartwheels on the opposite side. Check back next week for Level 2 station/circuit ideas for our next skill in this series: Front Handsprings. As a coach a common question I was asked by parents- “What can my child practice safely at home to help them master their skills?” I would always give them a list that consisted of relatable strength and flexibility exercises. Unfortunately, even with giving them the list there was no way to know if they were following my instructions on properly warming up, using good technique on the exercises, or stretching and cooling down afterward when they were practicing outside the gym. Building the strength to do the skills required in cheerleading takes so much more than a couple days inside the gym. Practice at home is a necessity, but trying to find a good program that fit my coaching philosophies was a challenge. 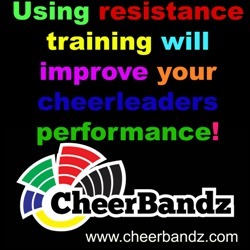 Recently I came across a program called CheerBandz and in reviewing this product, I found it fit everything I was looking for with a complete warm up, detailed demonstration and description of drills, and a solid stretching/cool down program at the end. 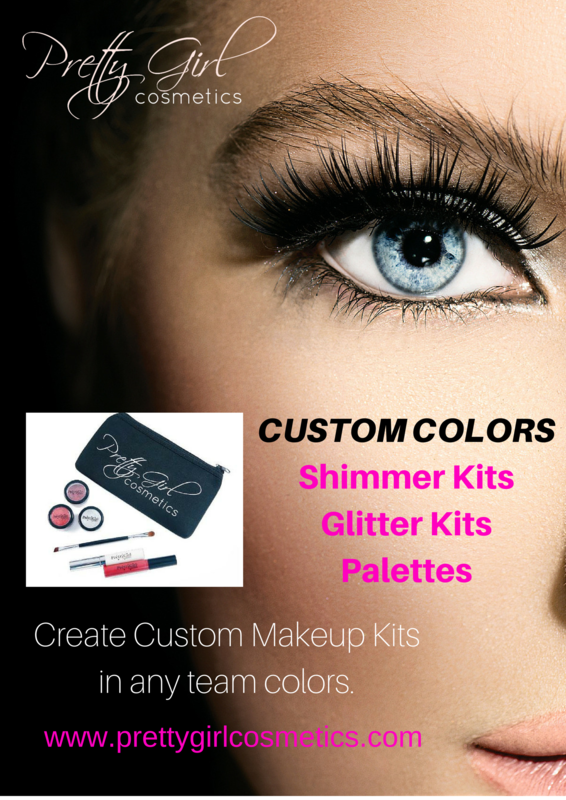 The product contains everything a cheerleader needs for the perfect at-home practice; high quality uniquely developed equipment and the DVD. The kits are broken down into levels, which emphasize proper progression, skill development, strength building and injury prevention. In addition, I recommend having a few kits around the gym to incorporate into your tumbling and jump training stations/circuits.